With optional part for viola. Composed by Traditional. Arranged by Nico Dezaire. De Haske Play-Along Book. Folk British Isles. Book Only. Composed 2002. 24 pages. De Haske Publications #DHP 1023199-401. Published by De Haske Publications (HL.44000708). ISBN 9789043115889. 9x12 inches. International (more than one language). 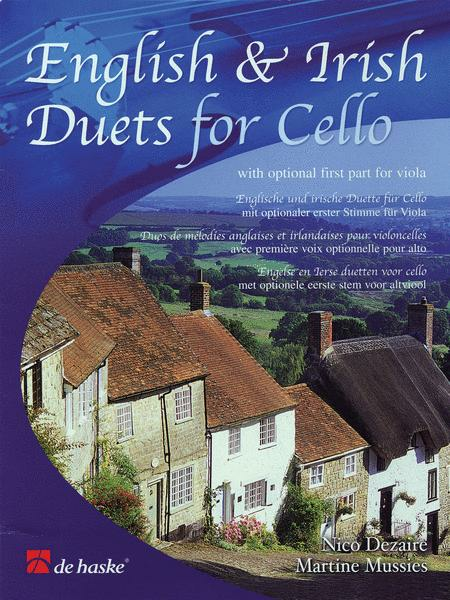 This collection of easy duets is suitable for violinists who have some experience of playing in first position. The melodies are given mainly to the first part with both parts being of a similar level of difficulty. 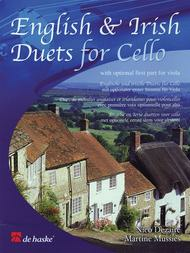 A delightful collection of duets for Cello players with some experience. The melodies, which are of English and Irish origin, are mainly found in the first part, with the second forming a slightly more straight-forward counterpart. You will also find a set of parts to allow duets between Viola and Cello. Eine Sammlung von englischen und irischen Stucken fur zwei Violoncelli. Alternativ kann die erste Stimme von einer Viola gespielt werden. Les melodies anglaises et irlandaises contenues dans ce recueil s'adressent aux violoncellistes de niveau debutant a elementaire. Le recueil contient une voix optionnelle pour alto.